Plug-in 2.1mm (PP90) output connector for the PAGlink PowerHub. 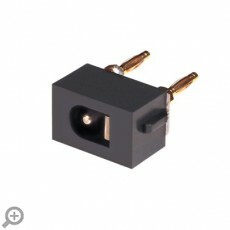 The output connectors are interchangeable and user-configurable to the left or right side of the PowerHub. The connector is designed for powering 12V camera accessories via the PowerHub, using PAGlink batteries.